Lan Kwai Fong, the trendy bar district in Hong Kong, has been the island’s premier nightlife spot for the better part of three decades. Developed by Canadian investor Allan Zeman, the small collection of hilly streets above Hong Kong’s Central is an energetic zone of debauchery. Not long ago, Chengdu, a city well-known for its love of leisure, recruited Zeman and his brand of cosmopolitan nightlife to collaborate on opening a Lan Kwai Fong location in the provincial capital. 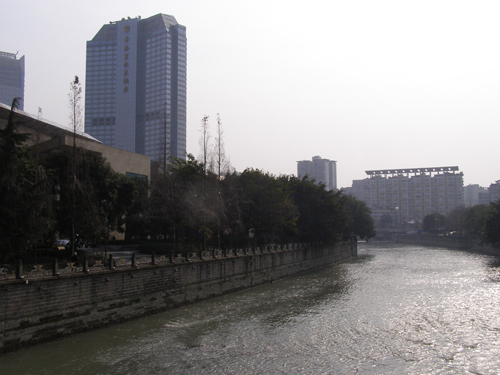 Given the city’s reputation, Zeman readily agreed and chose a site next to the Funan River in the city’s burgeoning Central Business District. LKF Chengdu officially opened at the end of last year. 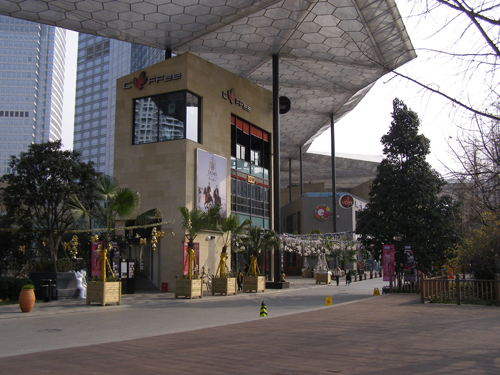 Unlike LKF Hong Kong, which made use of an existing neighborhood, LKF Chengdu is a completely newly built complex. Consisting of a series of pavilion buildings, linked by a snaking roof, the development features high-end restaurants, coffee houses, bars, clubs and a few retail shops catering to the consumption of luxury goods such as wine and cigars. Unlike the businesses in LKF Hong Kong which cater to the tastes of Western expatriates living and working in the city, LKF Chengdu is geared towards local Chinese tastes and preferences. This was a conscious decision by Zeman to appeal to local consumers. As such, the bars and clubs in LKF Chengdu are not ‘pubs’ like one would find in Hong Kong, but rather more in line with existing Chengdu nightlife hot spots in decor and atmosphere. That being said, there are a few overseas chains operating in LKF Chengdu such as Starbucks and Tony Roma’s. Lei Garden, an upscale Hong Kong restaurant chain also has a location in the complex. Based on a few personal outings to the new complex, LKF Chengdu doesn’t seem to be living up to its ambitions in terms of becoming the top nightlife spot in the city. Not only does it have to compete with the neighboring club district Jiu Yan Qiao, the businesses in the complex may be too far out of reach price-wise for the majority of Chengdu’s young party-goers. This is not to suggest that LKF Chengdu will not become one of the city’s hottest spots for nightlife in the future. 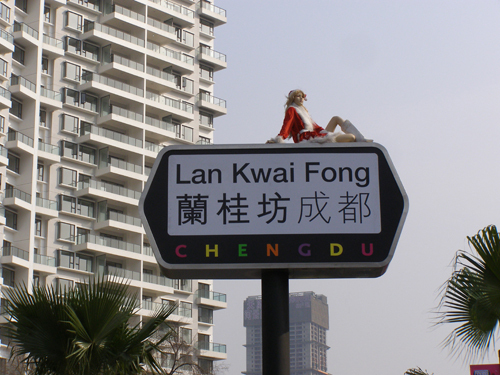 In the overall scope of development of Chengdu’s Central Business District, Lan Kwai Fong’s arrival is a bit early. A high-end residential complex next door is still under construction as are several office towers, and a metro line with a stop only one block away is not slated to open for another year. Though it seems now that LKF Chengdu isn’t meeting expectations, in a few years time Allan Zeman’s investment foresight may once again prove to be right on target.